No. This isn’t about the HHS Mandate. Actually, this isn’t directly even about any of the religious liberty issues we face here in our nation today. Ah, al contrario. This is about México. Whenever the movie, For Greater Glory, came out a year ago, I found out about the Cristero War. Up until the movie was about to be released, I had never ever heard about it. Thanks to all the talk on Catholic radio, I was able to learn more about the War. Basically, in the early 1920’s, the Mexican government made it illegal to be Catholic and to do anything Catholic. 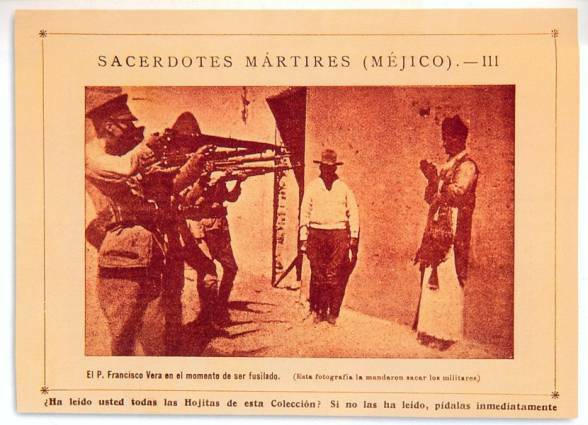 It got to the point where the Mexican government and army hunted and killed Catholics. This sparked a rebellion known as the Cristero War. Sure, that was nearly 100 years ago in a country that isn’t the United States, and times are different. But the question is…what kind of parallels can we draw from the Cristero War with some of the things that are happening in our world today? …in our nation, today? Patrick Madrid, prominent Catholic speaker/writer/radio host, gives a 45 minute talk on the topic, entitled “Attack on Religious Liberty.” He had family members who were killed during the Cristero War. In his talk, he provides the historical context which led to the Cristero War. He also details a lot of examples of how the Mexican government took away religious liberty (besides dealing death). I think it’s important to learn history, even as difficult as it is sometimes, so that the same mistakes aren’t made. People will always cite the Inquisition, the Crusades, and other examples to paint the Catholic Church as a violent force in history, but it works the other way around too where other entities violently oppose Catholics and the Church. From what I’ve been hearing and reading about in recent news, it is a great challenge to live a peaceful Catholic life in the Middle East because some of those in power have a great love for persecuting Christians to the point of killing them. And not just in the Middle East, but other governments and entities have made it super hard to do anything Catholic. But what about here in the United States? While I don’t expect us to get to the level of killing people of Catholic faith like in Mexico (at least, not in my lifetime…I hope…)… are we getting comfortable with allowing our liberties to be limited or taken away? Are we getting comfortable with being forced to do un-Christian things because the government said so? Are we getting used to the idea that our faith is being forced to stay within the confines of our church walls and the Sabbath? Hmm. Well, I will not make this a full commentary on everything regarding the attacks on religious liberty here in the United States. But I’ll just say that it is important to know about the Cristero War so that we can take action (hopefully peacefully) in the defense of religious liberty if necessary. After all, it is a First Amendment right that we’re able to enjoy here in the United States. As long as the U.S. doesn’t begin impinge on our other First Amendment rights, we’ll be able to publicly and peaceably address issues of religious liberty. And then! To be Catholic means that our faith goes beyond the doors of our churches (“Mass” in Latin is “missa” which means “dismissal” or understood to be “mission”….or simply put, we “are sent out”). We are Catholic in everything that we do, 7 days a week, no matter where we are. 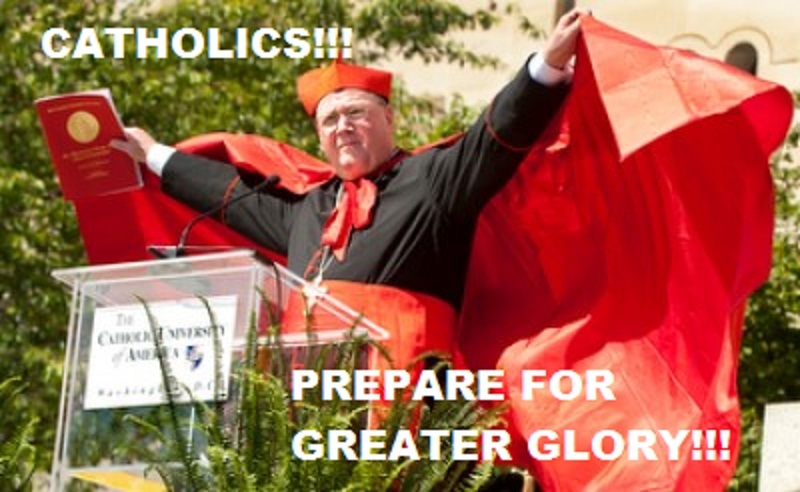 And there are those who have issues with this idea that Catholics are to be Catholics outside of Catholic churches. Awkwardly, we do have hospitals, universities, humanitarian efforts, religious communities, businesses, etc. that identify as Catholic and they are fully expected to be in line with Church teaching because if they aren’t…then they cease acting in an authentically Catholic way. Or more gravely, they cease being Catholic. And there are those who want this! President Calles of Mexico wanted to erase Catholicism out of his country so that his grand ol’ scheme wouldn’t have the Catholic Church standing in his way. So he took away Mass. He destroyed churches. He killed priests. He killed anyone associated with the Catholic faith. It seems to me that anytime that the Church finds herself being persecuted heavily, she all the more grows and grows in a profound way. And saints arise. In fact, here’s a Wikipedia list of saints (some waiting canonization) from the Cristero War. What saints will arise out of today’s forms of Christian persecution? Who will make a stand by the life they live and the actions they take? Who will be martyred? …oh and yes, preparation for the greater glory of rising above persecution in all of its subtle and blatant forms. We must prepare for that too. Blessed are those who are persecuted, for theirs is the kingdom of heaven.